Energy efficiency of enterprises of fuel and energy complex has become the topic of today's session of the Presidential Commission on Modernization. The session took place in Khanty-Mansiysk. Yesterday Russian president met with the head of Rosnano state corporation Anatoly Chubais, who urged to replace traditional incandescent light bulbs with light-emitting diodes (LEDs), not with fluorescent energy saving lamps, as it was previously planned. Russian Socio-Ecological Union considers this attempt as positive, bus has some fears that such an attempt is connected with lobbying of a private company at the highest state level, as well as by the lack of official calculations of the end user expenses. 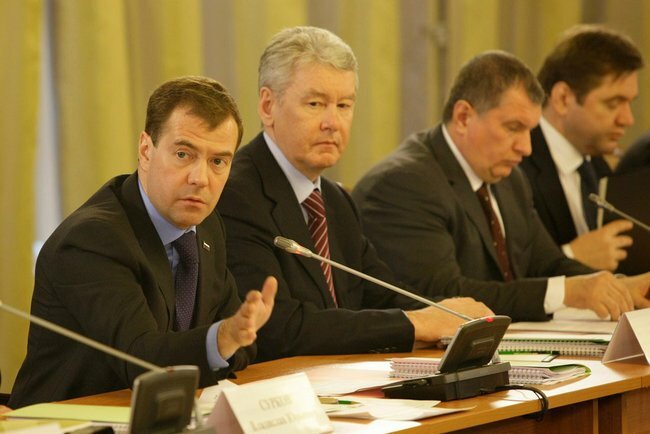 "Our fuel and energy complex has a large potential for energy efficiency, but in terms of new technologies, energy conservation technologies we are far from being at the forefront ... we need to ensure that investments in research and development grow," - said President Medvedev opening the commission session in Khanty-Mansiysk. It was Rosnano head Anatoly Chubais who participated in this meeting. The president met with him the day before: they discussed construction in St. Petersburg of a plant producing LED lamps, using, as it is indicated at the president’s web-site, Russian technology. According to Chubais, launch of the mass production of LED lamps for domestic and industrial use with a lifetime of 50 thousand hours (normal lamp employs about 1000 hours) is scheduled for June, 2010. It was reported that the draft decision of the Commission on Modernization, read that the ministries would have to submit proposals "for development of industries and to accelerate the spread of LED light sources” by June 1, 2010. Currently, these lamps are much more expensive than incandescent bulbs. The conventional light bulb of 60 watts costs at retail about 8-15 rubles (0.25-0.5$). Energy saving bulbs, roughly equivalent to 60 watts of incandescent bulbs, cost 80-300 rubles (2.8-10$), while LED lamps cost from 800 to 2000 rubles (28 to 70$). 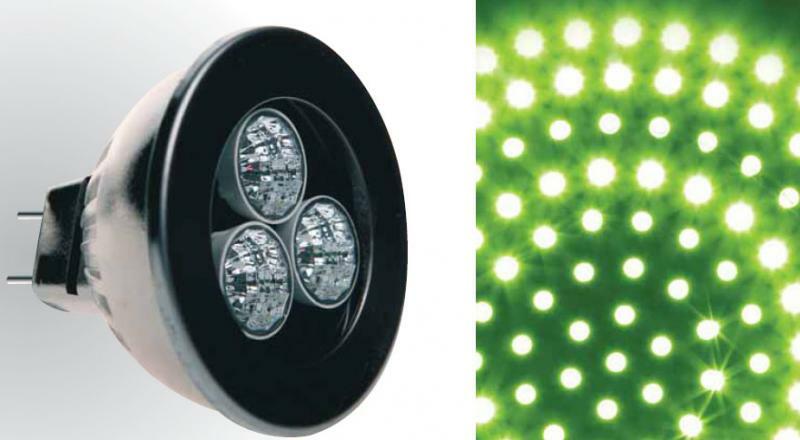 Today LED lamps are the most energy-efficient. Their life-time is 50 thousand hours, and electricity consumption is 10 times lower than that of incandescent lamps. Fluorescent energy saving lamps have 5 thousand hours service allotment, and their energy consumption is 5 times lower than that of incandescent lamps. Life-time of the incandescent bulb, called in Russia ‘Ilyich’s bulb’ with a reference to Vladimir Lenin, is about 1 thousand hours. For wide use of fluorescent lamps, it is necessary to introduce a special system of recycling: these lamps contain mercury. Today, at the meeting of the Committee on Modernization, Russian Minister for Economic Development Elvira Nabiullina announced a further reduction of cost of LED lamps. "It is expected that the cost of LEDs may be reduced over five years at least four times," - she said. "In November last year, federal law came into effect, which deals with energy efficiency ... the law passed quickly. This is a good result ... it is necessary for us all "- said the president at the meeting. Russian Socio-Ecological Union has already commented on the federal law "On energy saving and improvement of energy efficiency”. The law states "possibility" to ban in Russia incandescent lamps of 75W and more by 1 January 2013 and 25 W and more by January 1, 2014. To our earlier commentary, we have to add now that article 48 of the law includes a provision that "the requirements for lighting equipment, electric lamps, used in AC circuits for lighting should be approved by the Government before March 1, 2010. From 1 July 2010 lighting equipment, electric lamps that do not meet these requirements, will not be allowed in Russia”. Meanwhile, the Federal Service for Consumption mentions that the current sanitary-epidemiological rules do not assume the use of LED light sources. It turns out that for wide use of LED lamps, the government has to make special efforts to introduce LED lamps to the legal field before July 1. The planned production of LED lamps in St Petersburg is owned by Optogan. The company's website reads, performance of the first production line in St. Petersburg will be more than 30 million LEDs per month, which is “enough to cover 270 thousand square meters of office space”. The main production facilities are located in the territory of free economic zone "Neudorf" (in Strelna suburb of St Petersburg), and will be put into operation in several phases in 2011 - 2012. The news agencies cite another figure: the main production will be able to produce 1.5 billion light-emitting diodes annually, which can be used to produce 1-2 million LED lamps. But this figure is only 10 percent of the country's needs. Optogan Oy company was founded in 2004 in Helsinki by Maxim Odnoblyudov, Vladislav Bugrov and Alexei Dipper - graduates of the Joffe Physical-Technical Institute, St Petersburg, and students of Russian Nobel Prize Laureate Jaures Alferov. The main technological research of the company, according to its web-site, is carried out in Dortmund, Germany, where a production line is already working. In 2009 the company with similar name, ZAO Optogan, was registered in Russia. Investors are the state corporation "Rosnano", Onexim group and JSC RIK. 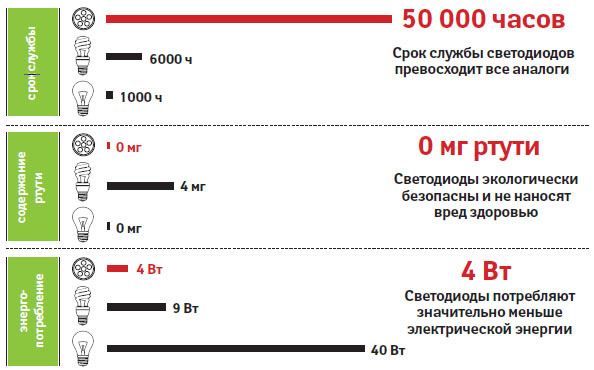 According to Vedomosti newspaper, Onexim group, allegedly controlled by Russian oligarch Mikhail Prokhorov has 50% plus 1 share in the company, Rosnano has 17%, and RIK has 33% minus 1 share. Russian Socio-Ecological Union considers the attempt to implement the innovative technology in Russia as positive, while cannot but note an anxiety caused by the fact that such an attempt is connected with lobbying of a private company at the highest state level, as well as by the lack of official calculations of the end user expenses.